Hedera Hashgraph Review - The Blockchain Killer? 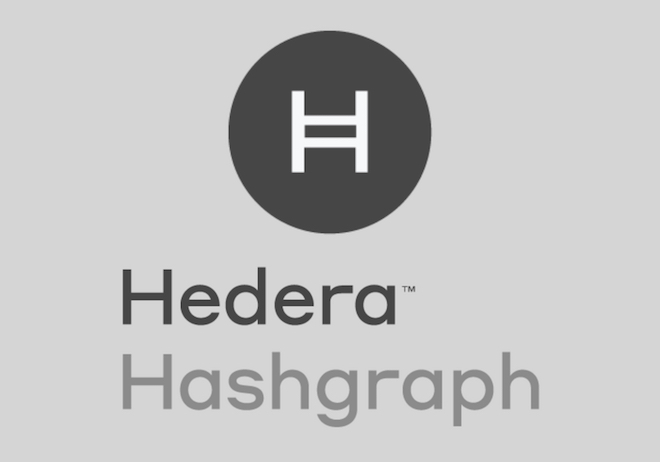 Hedera Hashgraph Review – The Blockchain Killer? Reference note: Quotes, images, and other information are attributed to the Hashgraph whitepaper, Hedera website, or Swirlds website. Hashgraph is a new form of distributed ledger technology (DLT) which enables a network of nodes (computers) to communicate with each other and reach consensus (agreement) on transactions in a decentralized way. Sound familiar? Well, it should since that’s also the purpose of blockchain. However, Hashgraph utilizes a unique consensus algorithm with “Gossip to Gossip” and “Virtual Voting” protocols. The whitepaper describes Hashgraph as “state machines with guaranteed Byzantine fault tolerance”, and claims to be faster, fairer, and more secure than existing consensus mechanisms. Thus, Hashgraph tackles the scalability, efficiency, and security issues faced by blockchain that restricts mainstream adoption. Sound too good to be true? Well, read on to form your own opinion. Swirlds, the company behind Hashgraph, recently launched Hedera Hashgraph, which it describes as “A Governing Council & Public Hashgraph Network.” In a nutshell, it is the public ledger of their patented hashgraph technology (with a licensing/governance model). The platform is lighting fast, secure, fair, and requires very little computational power to maintain the network. It opens the door for anyone to run a node, use the service, and develop apps on the platform, without the need of licenses. However, Swirls did decide to patent the hashgraph technology, to prevent people from using their tech to create competing ledgers. In some instances, they may grant licenses for others to create private permissioned ledgers, if they deem the purpose legitimate. What Problems Does Hashgraph Try to Solve? The platform attempts to resolve the issues that restrain the mainstream adoption of DLT. Hashgraph claims to be lightning fast and limited only by network bandwidth, meaning nodes are competing in speed to decide which transaction gets processed first. It enables “hundreds of thousands of transactions per second” with low latency, which means consensus would be reached in seconds. The company also disclosed their public ledger’s recent performance test results, achieving a throughput of 50,000 transactions per second (tps) while consensus was reached in 2.9 seconds using 32 computers across 8 global regions. When the test was constrained to only one continent (1 region), the speed increased to 500,000 tps at approximately the same latency. In contrast, the Bitcoin network can only handle 7 transactions per second (tps), whereas Visa averages around 2,000 tps. These network capacities pale in comparison to Hashgraph’s speed. Hashgraph consensus algorithm, asynchronous Byzantine fault tolerance (aBFT), claims to be the gold standard of security compared to other options. In a nutshell, aBFT prevents members from stopping community consensus or changing the records after consensus is reached. It allows the network to tolerate any number of faulty nodes given that fewer than 1/3 of the nodes are attackers. Once consensus has been reached, the community knows it in real-time and is assured that the consensus cannot be compromised. Thus, aBFT provides resiliency to DDoS attacks, firewalls, and malicious nodes even if some of the computers in the network shut down. Also, it is more secure than blockchain because it provides a sense of finality when consensus is reached, instead of gaining confidence over time. Fair access: no individual member can manipulate the flow of transactions entering the network due to the nature of gossip protocol (more on this later). In addition, Hashgraph’s state proof prevents faulty nodes from lying about transactions. Fair timestamps: Hashgraph assigns a consensus timestamp to each transaction which reflects the true time that it reaches the majority of the network. Each member reports the time it first received a transaction and the median time is chosen. According to the white paper, there are two governance models in Hedera Hashgraph: Permissioned Governance Model with Open Consensus. Council Government Model: the distributed governing body that upholds the principles of decentralization, stability, and trustworthiness. The council consists of up to 39 reputable organizations across 5 continents, whose responsibility is to overlook the operation of the public platform. It is similar to the Board of Directors of a public company. This also prevents the consolidation of power, meaning no single member (or group) can have too much control over the body. Consensus Model: the process allows anyone who wants to run a node to join the network, help maintain consensus, and be rewarded for their services. The team expects the number of nodes to grow rather quickly, eventually having millions of nodes in the network. Hedera Hashgraph claims to keep the platform stable using technical and legal controls to handle forking. This means that there will be no competing platforms to create confusion and uncertainty in the marketplace. First, “the software client can validate the pedigree of the Hedera hashgraph prior to use through a shared state mechanism”. A state consists of all the files stored, crypto balances, and smart contract execution results. A shared state ensures that nodes give verifiable information that represents the consensus state of the full network and no bad actor can compromise it. It also prevents a node from forking the original hashgraph, making changes and pushing it to the network as valid. Second, it ensures that any software changes made by the Hedera governing body are specified in the network, automatically updated and guaranteed that they are legit. Anyone with invalid software will not be able to modify the hashgraph. Legal controls, on the other hand, ensure no fork happens to create competing platforms or cryptos against Hedera Hashgraph. Although the codebase is open-source, updates can only be made by Hedera through the consent of the Governing Council. Since the hashgraph technology is patented, teams who want to create a permissioned ledger based on the tech are required to obtain a license. However, no license is required for apps that run on Hedera network and associated native tokens. According to the website, Hedera “offers an optional identity mechanism, [named Opt-In Escrowed Identity system] that gives you the freedom to bind verified identities to otherwise anonymous cryptocurrency wallets.” This means that Hedera enables KYC/AML compliance, which is necessary to achieve mass adoption in a time where governments continue to add cryptocurrency regulations. Hedera Hashgraph’s consensus algorithm is based on the gossip protocol and virtual voting. Hashgraph consensus uses a gossip protocol to spread information among a network of computers (nodes) quickly and efficiently. 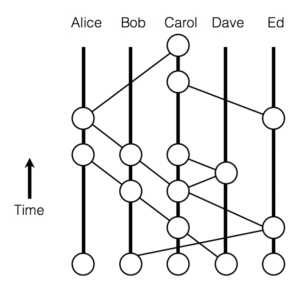 It allows a node (Alice) to randomly choose and exchange all information she knows so far with another node (Bob) in the network. This process is repeated across the network and increases in speed exponentially until everyone in the community is aware of the given information. Figure 1 describes the gossip history as a directed graph which represents the actual data structure. Each event (the circle) records the fact that Alice has performed a gossip sync by sharing everything she knows to Bob. An event contains a set of the transaction, the hashes of the two events below itself, a digital signature of its creator, and a timespan. This process of connecting events repeats continuously, growing the graph upwards forever. Instead of gossiping a transaction alone, the gossip protocol allows “gossip about gossip,” meaning historical communication is “gossiped” as well. In this case, members who have a slightly different version of new events near the top can quickly converge by continuously gossiping with each other. Eventually, all members will share exactly the same events lower down the hashgraph. This protocol helps optimize the communication process, ensure consistency, and ensure the ability to scale the network. Based on the concept of voting, Hashgraph uses a more sophisticated mechanism called virtual voting which achieves strong guarantees more efficiently. It enables the network to run a voting algorithm at scale without actually sending voting messages. As explained above, the “gossip protocol” allows members to have a copy of the hashgraph, meaning the full picture and history of all transactions are shared among nodes. Therefore, it allows them to “calculate a total order on the events according to any deterministic function of that hashgraph” to get the same answers. Each node can then reach an agreement on the validity of the transaction if it knows that the majority of the network witnessed that transaction happening at that particular time. The algorithm has several benefits such as providing greater transparency and honesty among the nodes while using very littlebandwidth. 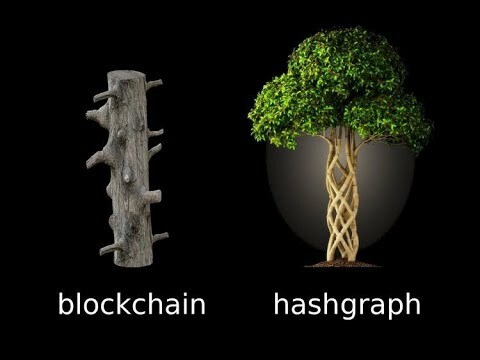 Hashgraph technology is fundamentally different from blockchain in many ways. This table provides some examples. Network Structure A chronological chain of blocks like a tree that is continuously pruned as it grows. A directed graph that like a tree with branches wovenback into the body. Hedera Hashgraph has its own native cryptocurrency, which is a utility token used as fuel for the ecosystem. There are three associated fees on the platform that token holders need to pay, including transaction fees, node fees, and service fees for access to distributed apps. Hedera Hashgraph platform also uses Proof of Stake (PoS) which is proxy staking instead of delegated PoS. Token holders can stake their cryptocurrency to a running node and be rewarded accordingly. The team is organizing a pre-sale for Hedera associated token through the SAFT framework, which is restricted to accredited investors (both U.S and international). No further information about the date and time has been released so far. Hedera has a stellar team of highly experienced professionals with in-depth knowledge and expertise in multiple spaces from business, tech to the government. The team is led byDr. Leemon Baird and Mance Harmon.Baird is the inventor of the Hashgraph algorithm. He has 20+ years of tech and start-up experience and has a Ph.D. in Computer Science from Carnegie Mellon. Harmon is also a seasoned executive with extensive leadership experience in both government agencies and tech startups. Both co-founders have been working together for over 2 decades. They founded two other tech startups together before Swirlds Inc. and Hedera. The advisor team also include some well-known influencers in the blockchain and tech space. According to the website, hashgraph technology has been used by several private enterprises in healthcare, games, finance, entertainment, and government. It opens the door for some exciting DLT applications to be developed, such as microtransactions, online collaboration, auctions, or distributed identity directories. Hedera Hashgraph is revolutionizing the world of distributed technology by using a few key technologies such as aBFT, proxy staking, virtual voting, and gossip protocol which enable a fast, fair, and secure network. It is interesting insofar that the open consensus allows anyone to participate in the network and develop apps using its technology without licenses. However, it is also somewhat centralized since Hashgraph is patented. Moreover, even though it claims to resolve the scalability issues, Hashgraph only demonstrates the solution to scale the number of transactions, which is only one part of the puzzle. A question still remains as to whether it can scale to the number of nodes in the network, which is a small number at the moment. Last but not least, the underlying technology in Hedera Hashgraph is indeed game-changing, but superior tech alone may not guarantee its adoption, since other forms of DLT, such as blockchain, can continue to improve as well. It is too soon to draw a conclusion, but I for one am excited to see its future potential.